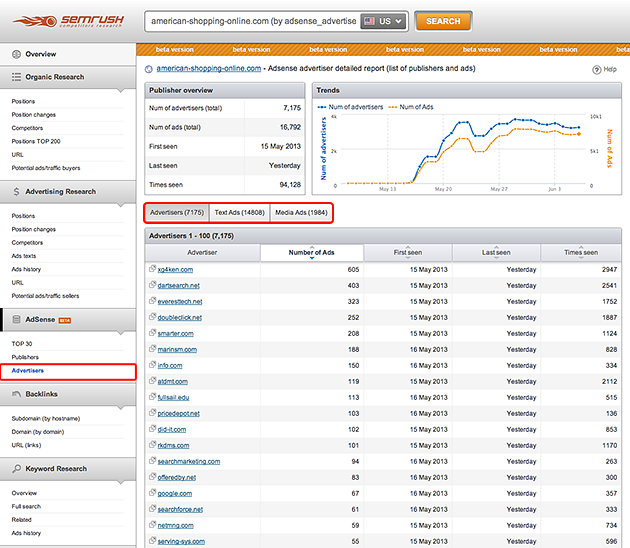 SEMrush is proud to announce open beta testing for our new AdSense report! In order to try it out, you don't need to do anything special. If you already have an active account, simply log in! If you don't have an account, all you need to do is register. 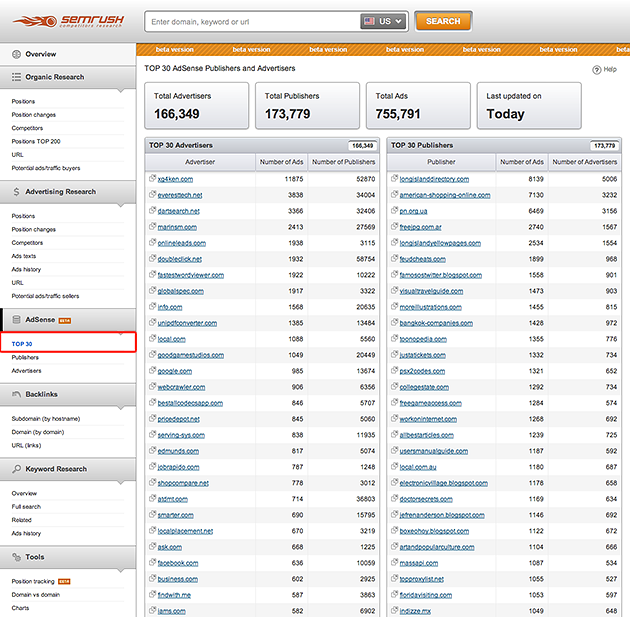 Using our new report, you can easily discover the Top 30 AdSense Publishers and AdSense Advertisers. 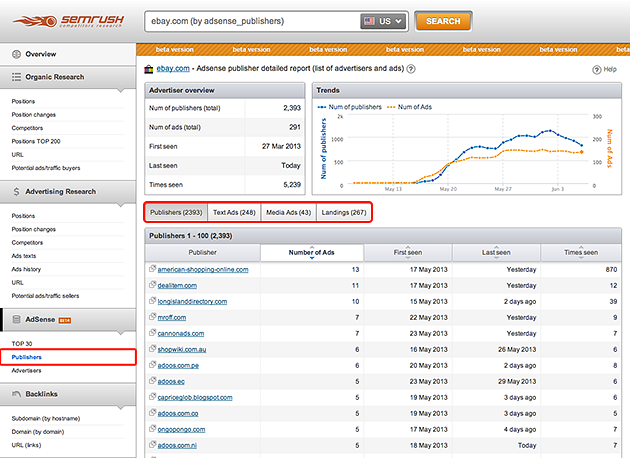 You can jump to another two reports on this section to view a detailed AdSense Publishers and Advertisers report. With the Publishers report, you are shown a detailed description for AdSense advertisers, including a list of publishers and their ads. Moreover, with the tabs inside the report you can quickly toggle between text, media ads, and landing pages. By using the Adsense advertiser report, you can obtain detailed information for AdSense publishers by viewing a list of advertisers and their own ads for that publisher. This report is also contains three tabs with text and media ads data. So take advantage and don't wait any longer to try out our new AdSense Report. You'll be pleasantly surprised by the ease of use and of course, the amount of useful information that you can find! Your API query log is now on your profile!